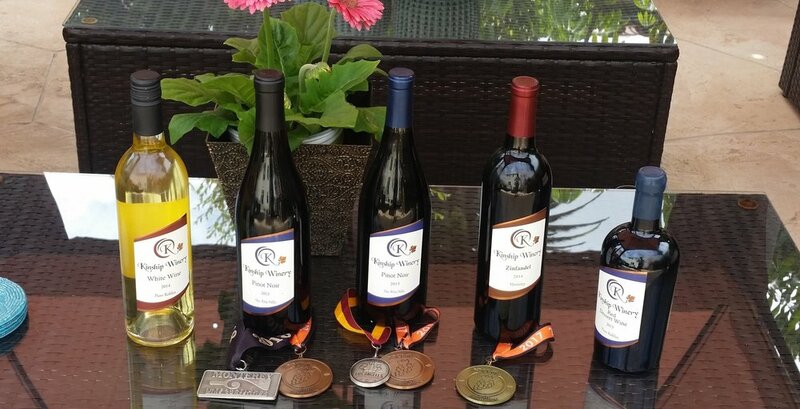 Kinship Winery is your online source for limited production, award winning wines carefully crafted from choice grapes sourced from coastal California vineyards. We started Kinship Winery in 2013 to bring you award winning small vintage premium wines. We operate with a Business as Mission model. Your purchase supports our Kinship Community's humanitarian efforts to transform communities and lives of vulnerable children in Guatemala. We also support cancer research and organizations that holistically support cancer survivors on their journey. Subscribe to our Kinship Connections Newsletter to receive receive seasonal coupons. Thank you for subscribing to Kinship Connections. Use promo code DADGRAD at checkout to receive 10% our Grad ‘n Dad Combo sets.